Hi Sheri, I can't use Stevia as it causes headaches for me. Should I then just add more xylitol or erythritol? All the recipes I am finding for THM contain Stevia. Any help or direction would be so appreciated. Thanks so much. Hi Anna Mary, I think you could probably do that - just add more of the xylitol or erythritol. I know adding the stevia to it makes it go further. Give it a try and see how it goes! Hi Sheri! I have a question. I have been wondering about THM' recipes. My son has multiple food allergies which include all nuts. Would I be able to use their recipes and follow their plan without using peanut flour and almond milk as I could not use this in my home due to cross contamination issues? Thank you for your time. By the way, I love your site and your encouragement for homeschooling. Hi Tammy! I am pretty sure that you could find substitutes for the nut flours and almond milk. I know there are others doing THM that have nut allergies and I can't remember how they handle it. I bet if you get on the THM Facebook group and ask or search that you will find some help. There is also an Allergen THM FAcebook Group here: https://www.facebook.com/groups/495900470451999/. You might look around on there for tips on what you can substitute. I know some are using coconut milk and coconut flours. Anyway..give that a try, ok? I really think it can still be done with some tweaking! I'm so glad you love my site too! Have a great day! Hi Sheri. I have been paying close attention to your recipe posts for some time now, and have a question for you. I'm presently following a certain high-protein diet that has worked well in the weight loss area (30 pounds in 6 weeks). However, I often feel empty after meals, or deprived when I see the rest of the family eating things I wish I could have too. I'm intrigued even more with THM, and wonder if you think it would be a good alternative. Thanks for everything, and God bless. Hi Stephanie! I definitely think you should try THM! Eating high protein will help you lost weight, but your body needs the carbs and fats too. THM shows you how to arrange your meals so that you have a balance that doesn't overload your body with fuel it can't burn. THM has a facebook group..go check it out and read everything in the files. I have done some posts with links too to check out. I have never done anything like THM and it really does work! God bless! How exciting Stephanie! I wish you the best as you start THM. Just take it slow though so you don't get overwhelmed. Have a blessed day! Sheri, Thanks for writing this review, and giving all the links to related pages. (I *Love* seeing the beautiful pics of your recipes, and others on Pinterest). I just bought THM last week, and am enjoying reading through it. I have birthed six children, and sometimes lost weight more easily than others. And it is helping me understand why I have always gained so much weight while pregnant. I've lost a total of over 300 pounds in the past 17 years, if you add up all the weight from each baby, lol! 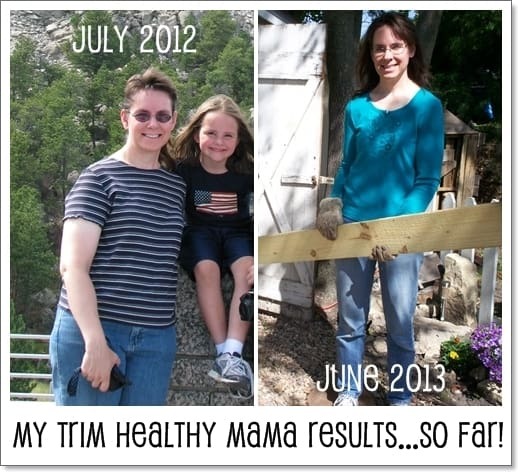 The THM ideas help me to better understand why I have lost weight some times, and not others. And I think their thoughts are spot on regarding a Biblical approach to foods. We (our whole family) are on the GAPS diet right now, which temporarily restricts some foods for the purpose of healing the digestive system. But I think I will be able to use a lot of THM strategies with our current foods, and I am very excited about this. I am very near my goal weight, but glad to have a strategy to have more control of my weight. Anyway, I am really happy for you about your results! I like your blog a lot, (I home educate, like you) and I appreciate how generous you are with all the THM info. God bless, Eileen PS Oh, and till last week I was ignoring all the THM promotions at Above Rubies, because I thought Pearl and Serene were still Vegans. What a pleasant surprise that they have been open to learning new things, and re-examining God's word! Dear Eileen, I am SO glad you are enjoying THM! It has been life-changing for me. 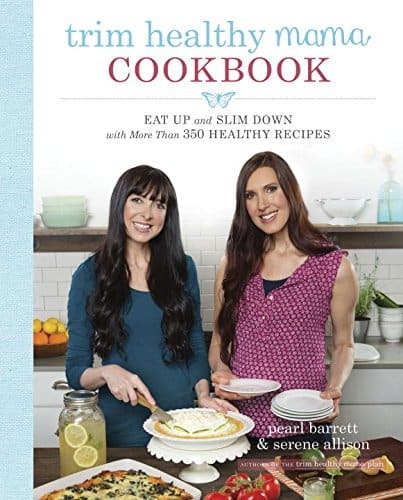 I do so appreciate Pearl and Serene's honesty in sharing in THM their journey through the different "fad" diets that they were on and what they learned from it. Have a wonderful day!!! Dear Lori, Do take care of yourself during this time...sounds like your family is doing a good job of that! I'm glad you are enjoying THM...I am so very much! Thank you so much for answering me. It sounds like it is a book for me to read. I wish you the best Michelle! Have a great weekend. I will try to answer your questions Michelle. As far as fixing separate meals..I usually do fix myself something for breakfast unless I fixed eggs for the kids, then I'll eat those. But they have some great recipes that don't take long to fix..some are even ones to fix the night before and put in the refrigerator. I don't find the breakfast meal that hard to just fix something for me. For lunch we usually eat up leftovers, have sandwiches, etc. I fix the kids whatever they want, then I usually fix myself a large salad or a sandwich made with the bread in a mug recipes from the book. It really isn't that hard to do. For dinner, I try to fix things that I can pick and choose from...for example maybe I will eat the meat from the meal and then eat some steamed veggies and forgo the breads, pastas, etc. If I can't separate out what I want to eat, I just eat a smaller portion of the meal and have some romaine salad along with it to fill me up. They explain it in the book, but our kids can have the healthier options of carbs (the whole wheat breads, pastas, etc. ), but for us as we grow older our metabolisms slow down and we just can't handle all those carbs at once, along with fats. Trim Healthy Mama teaches you how to eat so that you do not overload your system with too many carbs and fats in the same meal. So you may fix some things for dinner that your kids can eat any of it, but you and your husband may need to be a little more choosy what you eat. It is hard to explain it all...the book does a much better job. As far as the amount of food eaten, I am actually eating probably the same or maybe a little more. 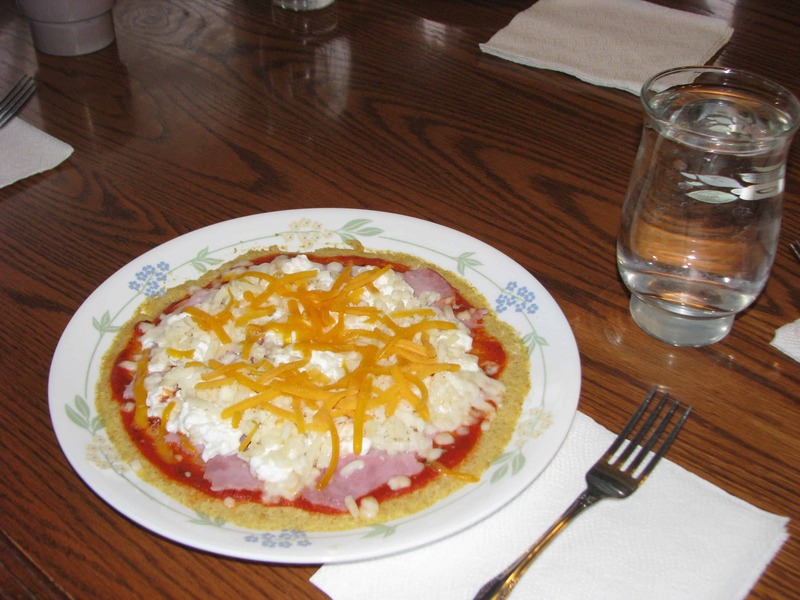 The key is eating the rights kinds of foods together and eating low glycemic meals. And regarding your concern about cost and how to go in steps, the book does a wonderful job of helping you find things you can change without being legalistic about it. Learning how to minor on the minors and major on the majors. I hope that has helped Michelle. Have a wonderful day!